JoJo Fletcher apparently has no reason to believe Colton Underwood's upcoming The Bachelor season won't be a good one. "I think he'll be fine. He's going to be great," JoJo told Entertainment Tonight in a recent interview with fiance Jordan Rodgers at her side. "I hate, you know, I didn't follow as much as I should have from the stuff that I got to see. People loved him. I think he has a great story. He's a football guy, so [Jordan] can talk about that." "He's got a great story, yeah," Jordan agreed. Colton will be starring on The Bachelor's 23rd season beginning in January 2019 after failing to find lasting love with Becca Kufrin on The Bachelorette's fourteenth season and Tia Booth on Bachelor in Paradise's fifth edition earlier this year. "I don't know that much. Hopefully he finds love this time and doesn't trickle through a couple more girls," JoJo said of the 26-year-old cystic fibrosis charity founder and former professional football player. "Or a couple more shows," Jordan noted. When ET pointed out Colton cries a lot, Jordan exclaimed, "It's going to be the most dramatic show -- season -- ever!" 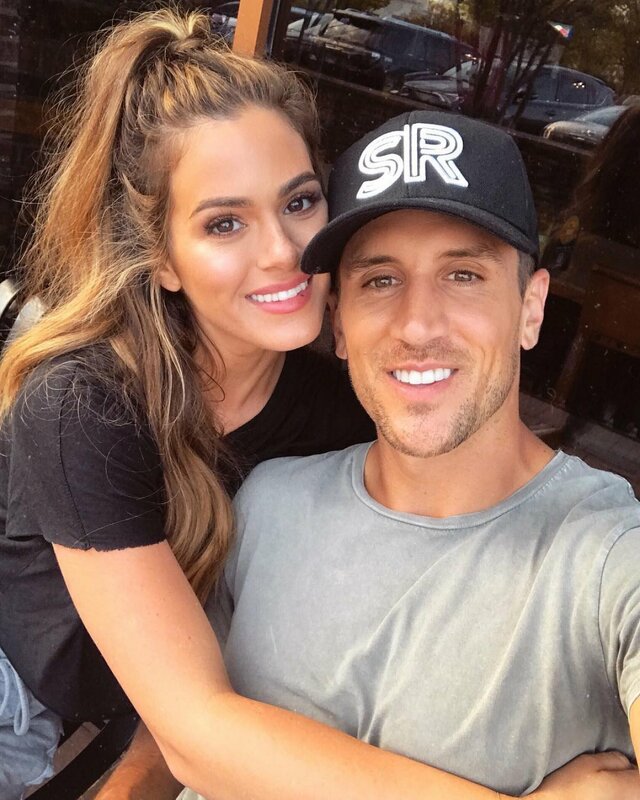 JoJo and Jordan got engaged at the conclusion of The Bachelorette's twelfth season back in 2016. The pair have been living together in Texas ever since and now star in a new web series, Engaged with JoJo and Jordan. JoJo and Jordan are one of the few successful couples to leave The Bachelor franchise, so what has been the key to their success? "I think for us, we completely disconnected from, I mean, I hate to say this, but we disconnected from the show and disconnected from all the events and stuff," JoJo admitted. "We kind of just took time for ourselves and we tried to get back to a normal life -- went straight back to work. I think it took a lot of patience and work." "I was going to say we worked at it!" Jordan interjected. "It was absolutely -- we worked at." Nick Viall and Ben Higgins have joked The Bachelor ruined their lives, as they each have a failed engagement in their past stemming from the show. But for JoJo, the show was a complete gift and blessing in her life. "I think [The Bachelorette] was the greatest thing I've ever done, but it was for sure tough and difficult. I was not the same when you get out of it, but I would say it was one of the greatest things I've ever done," JoJo explained. "So I don't know why they say that, but it's definitely emotionally taxing, 100 percent."